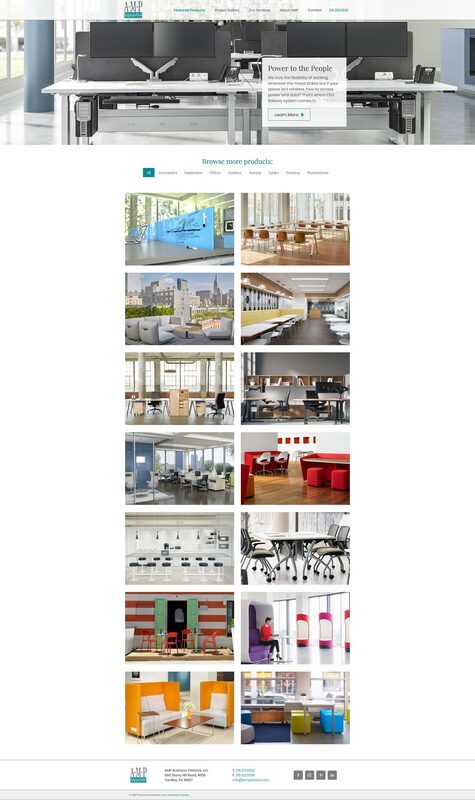 Design a website that highlights beautiful images and dynamic interiors for a corporate workspace designer. How can we accurately reflect our passion and capabilities? 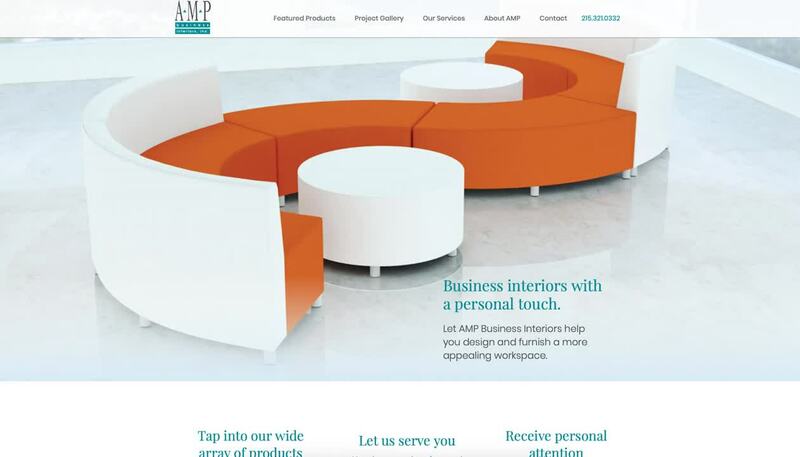 AMP Business Interiors, Inc. is a woman-owned interior design company that helps to personally create appealing and productive work environments. Stacey’s website was “vintage” and hard to navigate—with teeny-tiny images and a home page that was turning folks away with Flash (RIP, Flash!). Wonderful newsletters were being written, but the content wasn’t living anywhere online. 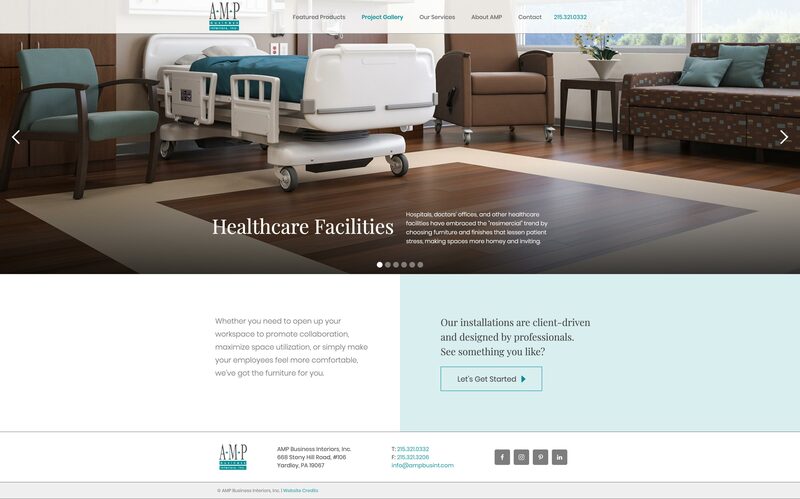 It was time for a website which showed the quality and caliber of the services AMP provided—along with Stacey’s passion and vast capabilities! A minor brand refresh resulted in a tweaked logo and a modernized, welcoming color palette. A Webflow website boasts big, beautiful pictures that put the possibilities front and center—and personal-touch is evident throughout. 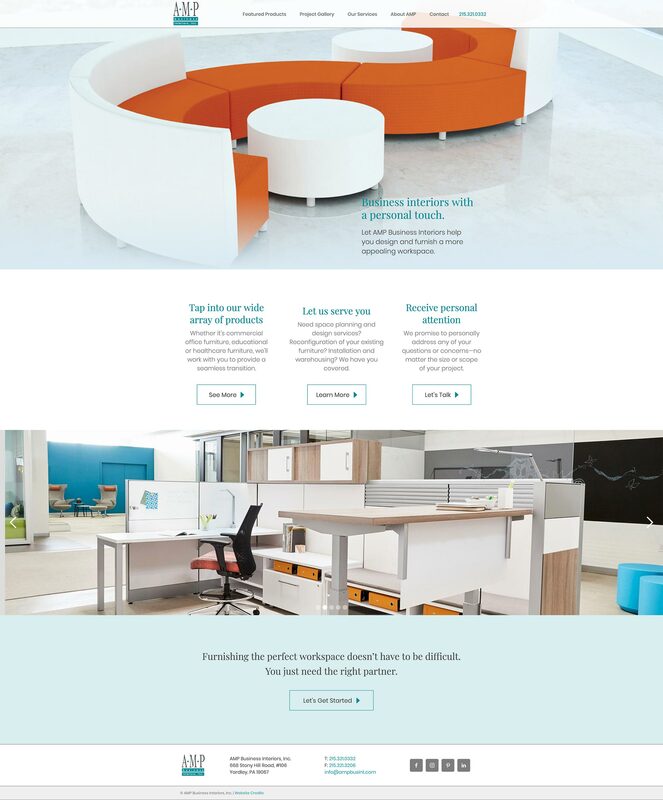 Typically Stacey’s newsletters were about a new product; this made for a perfect “Featured Products” page which also supported her goals of showing the array of furniture she offers. The newsletter problem was solved, too. A custom MailChimp template matches her updated branding, is completely trackable and creates click-through engagement with the website. A rewarding visual overhaul, yes indeed! 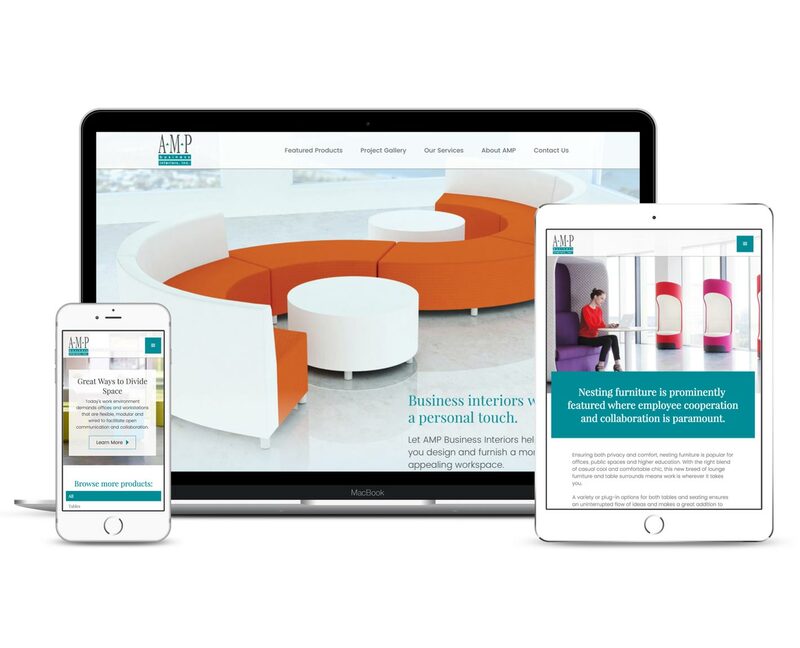 "We've received rave reviews since the launch of the new site!"